How Do I...Post a new topic? Global Domains International > Administration > Forum Rules, Forum Tutorials, and GDI FAQs > How Do I...Post a new topic? 1. From within your forum account, select the board you wish to participate in. 2. Click the "New Topic" tab located at the top right corner and bottom right corner of the main board page. PLEASE REMEMBER TO ONLY START A NEW TOPIC WHEN IT IS GENUINELY A 'NEW' TOPIC! 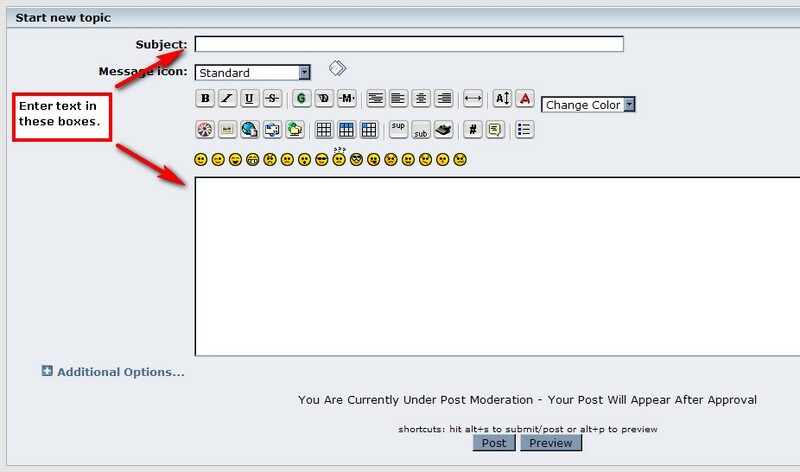 NOTE: A 'Search' feature is available on the top right of the forum, so please consider this prior to starting a new topic. 3. The page displayed in the image below will appear. The "Subject Line" area will be blank; you may enter a subject line that is appropriate for the new topic you will be starting. You may then enter the body of the message in the bottom text box. 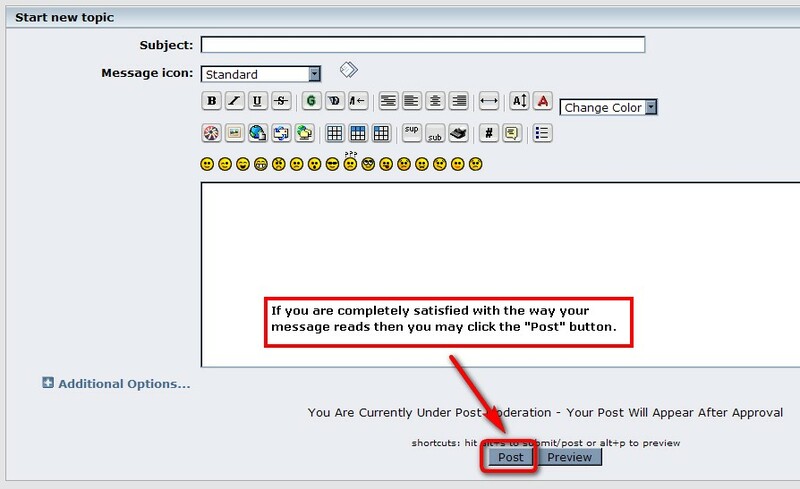 Feel free to use the tool buttons above the text box (smileys, font colors, insert image button, etc.) just as you would when composing an email. 4. 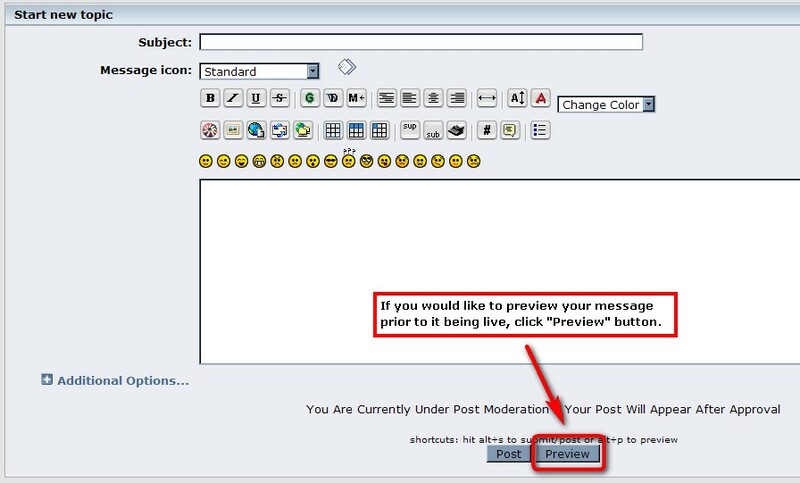 Once you have composed your message, you may click "Preview" and preview your message prior to posting or if you are completely comfortable with the way your message reads then you may click the "Post" button. Re: How Do I...Post a new topic?